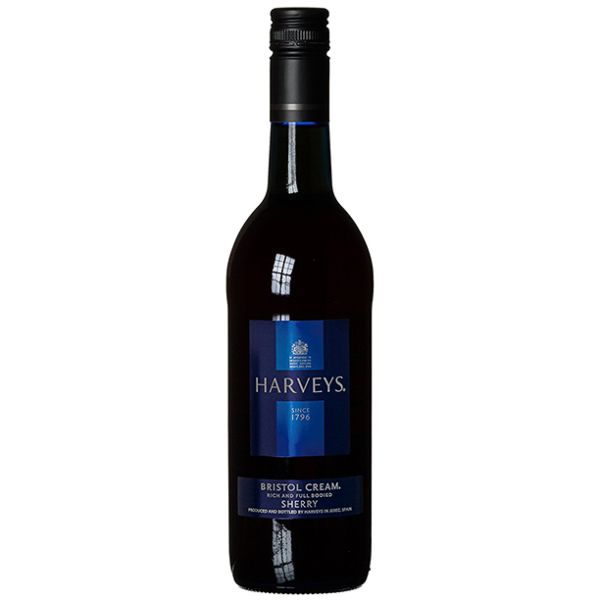 Harvey's Bristol Cream Sherry is a deep golden in colour with fragrant aromas of candied orange, dried fruit and toasted almonds. It features flavours of roasted nuts and raisins, with a subtly spicy finish. It is usually served well chilled as an aperitif, as an after-dinner drank straight or on the rocks with a wedge of lime or slice of orange. It can be serve as a dessert wine with cheesecake, flan, bread pudding or crème brulee. The ice lessens the viscosity and the citrus lowers the sweetness to create a refreshing drink. It contains 18% alcohol by volume. After opening refrigerate and consume within four to six week.